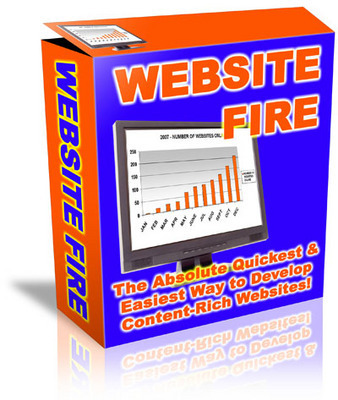 If Youve Been Struggling To Create The Content Rich Websites You Need to Succeed In Todays Ultra-Competitive Internet Marketing, This Will Be The Most Important Letter You Read Today! Way to Develop Content Rich Websites! Im about to reveal how you, or anyone else for that matter, can instantly generate websites filled with high quality articles that people will want to read! Its true, if you have ever wished that you could magically produce websites filled with good content that will attract prospects like crazy without having to spend hours at your desk slaving over every little detail, then I urge you to keep reading this letter. With Website Fire, you can quickly add a new website to any content project and you can add a variety of information to personalize your site such as your website name, main keyword, AdSense pub, Chitika pub, Chitika channel, PeakClick affiliate ID, PeakClick subaffiliate and the url.